During her childhood in Eugene, Oregon, Heather Chesbro’s family spent most of their holidays vacationing in Central Oregon. When a job change in 2005 brought Heather and her husband Nate to Bend, it was a dream come true! 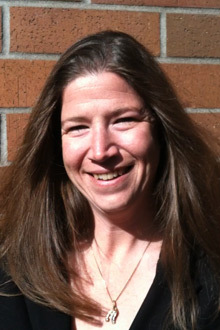 Heather LOVES being outdoors and spends her spare time downhill and cross country skiing with her two dogs. When they aren’t “on the mountain”, you will find Heather, Nate and the dogs taking long walks thru the streets and neighborhoods of Bend….Her walks have led her to discover many “hidden jewels” for her clients in all kinds of different neighborhoods. A long time veteran of the insurance industry; Heather has mastered the art of excellence in both communication and customer service….As her clients will attest, Heather is 100% committed, 100% focused and 100% determined to bring her unique skill set and personal dedication to each and every transaction. Heather’s favorite thing to do is match buyers to homes that they will love and enjoy for years to come. Her husband calls her the “House Whisperer” – tell her what you want….she will find your home!